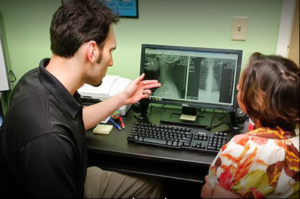 Sandez Chiropractic offers Durham patients clients a full range of chiropractic care services. Sandez provides chiropractic adjustments, rehab & chiropractic care for victims of auto accidents, exercise therapy and traction therapy for patients with acute or chronic injuries, chiropractic Electronic Muscle Stimulation (EMS), specialized chiropractic care during pregnancy as well as for infants and children. Durham has grown dramatically in the past few decades from its origins as a leading tobacco manufacturing center. 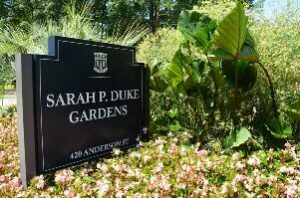 Now regarded as “The City of Medicine,” Durham and adjoining Research Triangle Park are the home to several major corporations, tech firms, and legendary businesses, activities and attractions. Durham has also witnessed a new flurry of construction and development in recent years, headed by the American Tobacco District project, where new buildings such as the Durham Performing Arts Center and new Durham Bulls ballpark are complimented by new businesses in repurposed old tobacco warehouses and corporate offices. As the anchor of the Durham – Chapel Hill Metropolitan Area and an essential part of the Raleigh – Durham CSA, Durham continues to play an essential part in the Research Triangle region’s growth. Sandez Chiropractic is a short, convenient drive from many sections of Durham, and is pleased to provide chiropractic services for many patients who live or work in Durham. If you, a family member or friend requires the services of a qualified, experienced chiropractor in the Raleigh – Durham area, we hope you will call on Sandez Chiropractic for the best in chiropractic care. For more information about the practice or to book an appointment call 919-535-3091 or use our Online Form.